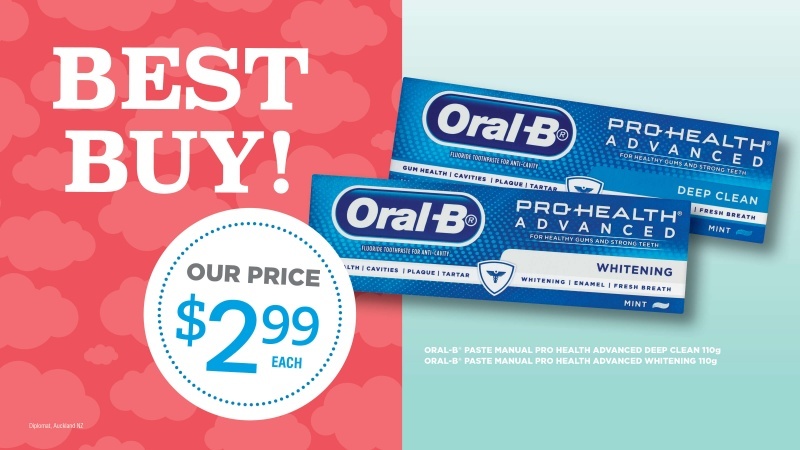 Keep your teeth bright, white and strong with Oral B's Pro Health Advanced toothpaste. Available in deep clean or whitening formulas, this toothpaste is a bargain at $2.99 a tube! We also have Oral B electric Toothbrushes in stock and on special too!